The recent announcement is evidence that Instagram’s video application trumps Vine’s current offerings, allowing users to record and share 15-second videos with the option of selecting custom covers and one of 13 signature filters, as well as boasts image stabilization. But unlike Vine videos, Instagram videos do not continuously loop. 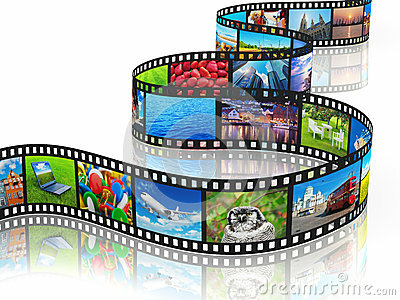 Brands have learned that uploading videos online is a powerful way to deliver advertising. Consumers watch videos for two reasons: First entertainment, and secondly information. With projections that streaming video will harness more than 70% of online traffic in the next few years, it’s clear that video consumption won’t dwindle. The selling point of Instagram is its ease of use. The app takes seconds to learn and is so simple to use. Instragram let’s users share video on Facebook and Twitter, as well as embed videos on a blog or website. These capabilities offer brands the opportunity to extend their reach to a larger audience and integrate marketing efforts over several platforms. This far outweighs Vine’s appeal since Instagram currently has over 100 million users. The product update is likely to send the user count up. While Vine only gave users six seconds of video, Instagram video boasts 15 seconds of recording right out the gate—and the videos don’t loop. In addition, Vine was only available for iPhone users until earlier this month while Instagram launched its video option immediately on both platforms. Trust, socially savvy customers won’t forget those details. If you have yet to secure your brand identity on Instagram, now is the time to do so. Craft a strategic plan for utilizing the technology and start shooting. Few social services have enjoyed as much success as sites like Facebook and YouTube. However, there are thousands of social media sites in existence and their popularity truly depends on the country. Socially Ahead’s S. Lynn Cooper has curated a list of five social networks to watch. Like Instagram, many incorporate visual images with the goal of connecting people beyond the digital realm. Other services remind us of LinkedIn, bringing users together through professional networking. Regardless of which ones spark your interest, let’s explore which ones will become the future of social media. HootSuite has launched Conversations, a tool that brings social networking into the workplace. Forget e-mail chains, members can collaborate in real-time by posting on message boards similar to Facebook. The great thing is this tool is not limited to the immediate team; in fact, others can be invited to join the conversation. Need to pull in legal or marketing, one click and they are brought into the dialogue. When you hear the word vine, most would think of something that grows from a tree. Not anymore! If you have yet to hear about this mobile application, then it’s time we get you up to speed. Powered by Twitter, Vine is a video-sharing app that allows users to create six second videos using their smartphone. You can upload them and share the videos on other social networks like Twitter and Facebook. If you have a product-based business and a sprinkle of creativity, Vine can become an excellent content marketing vehicle for your brand. What if your followers could purchase your product or services by simply tweeting? Enter Chirpify, a social media network that allows your brand to sell directly to consumers on Twitter, Facebook or Instagram. When followers, who must have Chirpify accounts, reply with the word “buy,” they score the item. No need for you to send them to your website for processing, Chirpify does it all for you for a nominal transaction fee. To simplify what Medium is think Twitter and Blogger combined in a simple layout. Unlike Twitter, which caps you at 140 characters, Medium gives you the flexibility to express your thoughts just the way you like. Quora is an information sharing and gathering platform that takes the form of crowd-sourced questions and answers. A combination of other platforms such as LinkedIn Answers and Wikipedia, users can vote the answers they deem the most helpful, allowing the most knowledgeable to obtain status in the network. According to Nielsen, 70% of active adult social networkers shop online, which is 12% more likely than the average adult Internet user. With millions of users online, brands continually flock to social media networks to garner consumers yet have been discouraged by the lack of results and questioning the validity of social media marketing. Rather than become disillusioned with social media, because there’s no denying the millions of people buying and conversing online, the question remains: What is the best way to reach them? Social media is not a cure-all, end-all solution for marketing to one’s target market. If you think that by setting up a profile on a network and constantly spewing marketing messages that you’ll attract thousands, if not millions, of customers immediately, you’re sadly mistaken. It’s, however, an enduring solution in combination with advertising and public relations to increase exposure, promote and eventually garner sales. In order for social media to be effective for your organization, everyone has to buy-in, from executives to support staff, or it will not reach its full potential. Your chances of having a successful social media campaign is increased if senior management actively uses it and allows the brand to have multiple voices. The executives of your company are not the only champions; in fact it is feasible to come up with a list of influencers in all departments that can provide content and insight in the form of a social media council. With any marketing effort, you must clearly define what your intentions are for using social media. Do you want to get exposure for new product or service? Improve brand recognition? Increase website traffic? Once those intentions have been identified you must question what success looks like. To avoid social media crises and potential disasters every company should invest in social media training and guidelines. Do not pawn off social media activities on the “young” professionals. Just because they know how to use the technology does not make them equipped to become the global communications arm of your brand. When creating your social media team, you should seek someone who has a strong capacity for communications and marketing; the tools can be taught to via training programs in- person or online. Showing employees the best practices and way in which your brand should be showcased online can be an exceptionally valuable business tool. If you’re not responding to your fans questions or comments, they’ll seek a brand that will. Social media has shifted marketing as we know it. It’s no longer a one way street, but a two way street which requires communication and collaboration. You will achieve greater results when you respond in a timely manner, highlight your customers using your product or service and share valuable information with them. 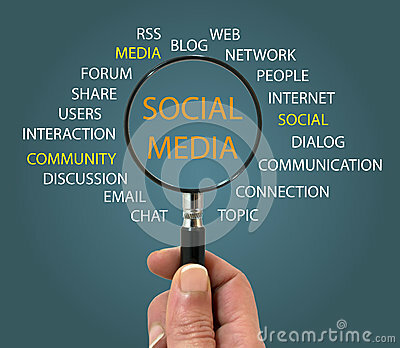 Keep in mind if you are not fully committed to social media then you will not achieve the results you desire online. Once you have a social media strategy with realistic goals and targeted content, the rest is relatively simple. Whether you’re a business owner trying to ramp up your startup’s connections or a recent graduate looking to secure post-grad opportunities, yourLinkedIn account is crucial to landing new-found opportunities. LinkedIn is an excellent online networking tool that can assist you in building vital professional relationships. First impressions are everything. Think of your LinkedIn profile as your one shot. Thus, your LinkedIn profile should list your current position and at least two previous roles, academic institutions attended and contact information which will then make your profile 100% complete, according to LinkedIn’s standards. Take the time to fill out the descriptions, listing your duties and inject keywords relevant to your industry. Ask yourself, what would others type in the search box to find someone with my skill set? Browsing through most social media sites, you’ll notice a majority of the profile photos are not professional. These laid-back photos are acceptable for personal profiles, but, since LinkedIn is a professional’s playground, promoting yourself or your brand without having professional photographs can drastically alter the way you and/or your business is viewed. Studies show that LinkedIn profiles with appropriate photographs are much more likely to get clicked on than those without. So, even if you don’t have a professional photo, taking one with a high-resolution camera in conjunction with appropriate lighting, clothing and background is better than having no photo at all. Perform a series of searches to locate people you know by name via the search box. Once you’ve identified these contacts, click the connect button to add them to your network. Send a custom message to the person within the invitation, especially if you’re not in constant communication with the individual. Once you’ve made a significant amount of connections, you should view the “People You May Know” page to review colleagues you may have missed. Take the time to reach out to your supervisors and closest colleagues to obtain quality recommendations prior to sending a request on LinkedIn, and explain the importance of their recommendation. Once they have completed your request, take a moment and thank them and consider returning the favor by recommending them. Third-party applications approved by LinkedIn allow you to customize your profile and showcase your work products. 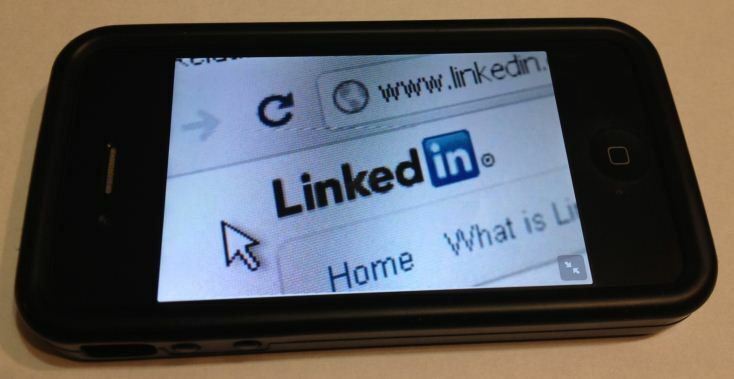 You may have crafted a white paper or presentation that can be of value to your industry; consider sharing it with your network via SlideShare which you can connect to your LinkedIn account. Perhaps you’ve penned a blog article, add the WordPress app so you can share you’re expertise. Take time to explore the infinite amount of tools and features that LinkedIn offers. It’s like a gold mine for those who want to take advantage of connecting with other professionals, establishing thought leadership and creating new opportunities. Have LinkedIn tips? Share your best practices in the comments section below. Social media is helping brands build awareness and engage with consumers. A successful business relies heavily on efficient communication which in turn helps establish partnerships and allows the company to market its product and services to consumers efficiently. Many of us have experienced the overly aggressive salesperson in a retail store, and walked away from the situation annoyed, confused or startled—and, most importantly, without the product he/she was offering. The online equivalent is constantly promoting your offerings and sales through social media. Fans and followers dislike it, and you may be able to tell by your dwindling follower/friends count. This one’s common sense: Spamming other users’ comments, inboxes, groups and pages will only have people dislike you and ban you from posting on their pages. If you would like to have your message posted on someone’s feed, be courteous and ask for the group administrator’s permission. Using social media for business means just that. Hence, be as professional as you would in real life. Expressing your disdain for cohorts, clients and competitors on a public platform will only result in you looking petty, and may cause others not to do business with your brand. Research has shown that more than half of social media users believe that communicating with a brand via social media is a preferred method of communication as opposed to more traditional means like phone calls and mail. Show your customers that you really value you them by responding to their queries in a timely manner, which today is through social networking sites. Imagine walking into a restaurant and no one is there to greet you. What would you do? Would you stay or leave? This scenario also applies to your social media profiles. Make sure you keep your profile and feeds current. If you do not have original content to share, then source others such as news or partner organizations. Follow these simple rules and you will avoid upsetting others and your business will appear positive and professional online. Have you witnessed any of these social media offenses? What are some of your best practices? Share your thoughts and comments below. S. Lynn Cooper is a Washington, DC-based digital strategist and communications expert. Cooper is the founder and director of Socially Ahead, a strategic communications agency that specializes in the creation of social and digital strategies and campaign management. Follow her on Twitter at @sociallyahead. A few weeks ago, the world was introduced to the term “catfishing” due to an internet hoax involving Notre Dame football player Manti Te’o’s pseudo relationship with a 22-year old woman, who he thought died of cancer last year. While “catfishing” normally takes place in a personal relationship many businesses have defrauded individuals online as well. The Internet presents a lot of potential revenue opportunities—and a lot of risks. BizId is a service provided by global credit information group Experian. BizId provides reliable commercial information and reduces approval time in order to stay competitive. Through a single transaction, BizId searches multiple databases to authenticate a business and up to two business owners while helping meet compliance requirements. Job-centric search engine ZoomInfo aggregates people and company information in one location. Their information listings on people, harvested from across the web, include people’s employment history and current job title and whether or not they’re seeking employment. Should you get too many search results for a person’s name, filter them by geographic location. You can’t talk finding information online without mentioning the big G. For well-known brands and individuals, you will get great results by just typing the name into Google’s search bar, but for civilians, common names or names with double meanings, a few advanced Google techniques can help narrow down the field of results. Enclose the name of the person you’re searching for in quotations when you enter the name into the search box (i.e. “John Doe”). If the person you’re searching for is likely to appear on a particular web site; search only that site using the site: URL operator (like site: sociallyahead.com “John Doe”). To search people by appearance, look for them on Google Images to get a quick visual—especially useful for those with common names, or to determine the gender of a person you’re meeting for the first time. Over 200 million professionals around the world use LinkedIn. You can quickly review their profiles, which will include educational background information and work history, as well as their connections. When reviewing, you should see if you have any similar connections. If so, reach out and request a recommendation on this person. If you do not have connections, LinkedIn offers a paid service called Reference Search. Videos are more persuasive than written content. In fact, studies conducted at Harvard have shown that videos can increase behavioral changes significantly. By shooting a customer testimonial showing how they have personally benefited from your product or service may be more effective than you running a sales promotion. Supporters want to know the people behind your brand. By personalizing your brand using video, you are able to build relationships with your target audience and ultimately convert more business. Create short content clips at team meetings, corporate announcements and events. When you create video content that educates your target audience about aspects of your business, you become the face of the industry. Keep in mind, Dr. Oz may not be the best surgeon in the world, but he has established himself as a medical thought leader by engaging with his audience on video. Do not miss the opportunity to ask your viewers to take some type of action at the end of your video. Ask that they visit your website; share the video or sign up for your newsletter. If your video is persuasive, you’ll most likely have their undivided attention so take full advantage of it! To stand out from the crowd, think beyond a single video. 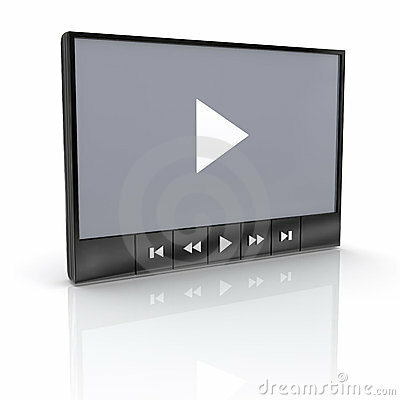 To increase your visibility, create a series of short content videos that are published regularly. You can showcase your products individually or ask your internal team entertaining questions. Not only will this create synergy around your content, it will also allow you to build brand identity. Wildfire, a division of Google, is one of the world’s largest social media marketing software providers, with over 21,000 paying customers worldwide, including 30 of the world’s 50 most valuable brands. Wildfire’s technology combined with Google’s advertising solutions provides a more holistic way for brands to manage and optimize their marketing efforts, as well as spend across all digital channels, including search, display, video, mobile, and social. TweetDeck is a free personal social media management and monitoring tool that allows users to control all their social media accounts through a single dashboard. This is an ideal tool for freelancers, community managers, and contractors who need to juggle multiple accounts. TweetDeck was brilliant to offer service on both mobile and desktop versions, which makes it simple for users to update and monitor feeds from anywhere. Brand Monitor allows users to track across multiple social media platforms in real-time, providing brands with the information they need to become actively engaged in conversations about their products and/or services. This powerful tool lets users identify influencers, track keywords and respond quickly to mentions. Google Analytics has been a the go-to metrics measuring tool since its release, and with integrated Google+ activity, users are able to view easy to read infographics showcasing which social media platforms are directing the most traffic. Another great feature of this tool is the visitor behavior analysis and a monetary evaluation of conversion rates through Google’s Social Value charts.